2018 Ford C-Max: Which Trim Level is Best for Me? You’re looking for a subcompact vehicle that’s more efficient than most. Luckily, you’ll find that among the wide range of Ford cars. It’s the Ford C-Max Hybrid, and it’s more than you’ve imagined. This pint-sized car has more interior space, more pep in its step, and more features than you thought you could get for the price. 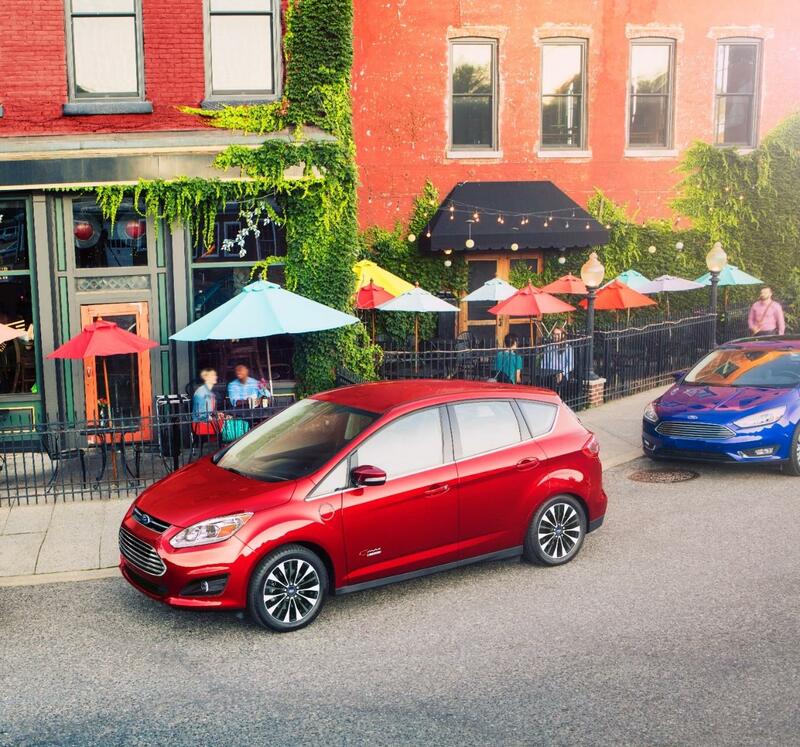 The 2018 Ford C-Max trim levels are separated into two: The Ford C-Max Hybrid SE and the Ford C-Max Hybrid Titanium. If you want to know which trim level is best for you, you’ll find more details about each trim right here. The 2018 Ford C-Max is available now at your Southern California Ford dealers. At its core, the Ford C-Max is all about efficiency. It employs a 2.0-liter Atkinson-cycle four-cylinder engine in combination with an electric motor, achieving 188 horsepower combined. That’s rated as the best power in its class. The 2018 Ford C-Max is equipped with a Regenerative Braking System that recoups braking energy to recharge the hybrid battery. The C-Max Hybrid SE includes SmartGauge with EcoGuide, displaying your efficiency and recommending improvements. The 2018 Ford C-Max is a sharp-looking little number. LED signature lighting, body-color bumper fascias, and a slick five-door design contribute to its attractiveness. The grille is mysterious in black and surrounded by chrome finish. 17-inch bright silver painted aluminum wheels are the standard on the C-Max Hybrid SE. Inside the C-Max is a surprising amount of space and equipment. 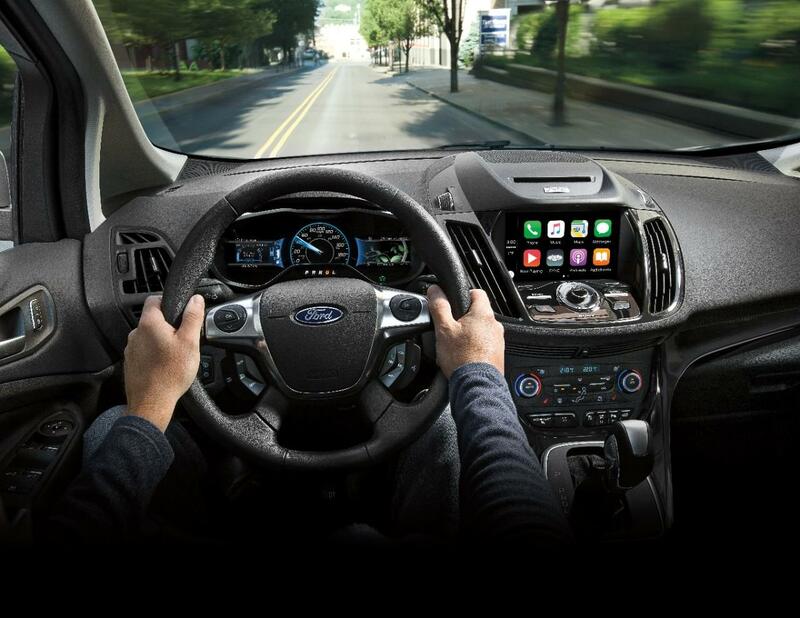 Dual-zone climate control, second-row in-floor storage, steering wheel audio controls, and SYNC with Enhanced Voice Recognition are all standard equipment. Heated seats, ambient lighting, a power liftgate, Reverse Sensing System, SYNC 3, and more available in value-added packages. If you want just a bit more in your hybrid Ford cars, the 2018 Ford C-Max Hybrid Titanium is for you. Its powertrain may be the same – a 2.0-liter Atkinson-cycle I-4 with an electric motor for 188hp – but the rest is a step above the SE trim. 17-inch aluminum wheels are painted bright silver with contrasting wheel pockets. Power heated mirrors are standard equipment along with fog lamps, a chrome grille with chrome surround, and the same LED signature lighting as the SE trim. A hands-free foot-activated power liftgate is an option. Reverse Sensing System is found in every C-Max Titanium, and Front Sensing System and Active Park Assist is available too. Rain-sensing wipers are standard, along with an auto-dimming rearview mirror, Intelligent Access with Push-Button Start, and Remote Start System. A nine-speaker Sony audio system and SYNC 3 with Unique Hybrid Content are included as well as leather heated and power-adjustable seats. These major features are just the tip of the iceberg for the 2018 Ford C-Max. To truly understand the differences in the 2018 Ford C-Max trim levels, and to experience the driving passion, you’ll need to get in the driver’s seat. You can find the Ford C-Max and other Ford cars at your Southern California Ford dealers.